Detroit is synonymous with the American automotive industry. It is, after all, home of the three largest car manufacturers in the United States. For marijuana users in the local area, it is also the only place where one can get ahold of Alpine Star. Alpine Star takes its roots from the incomparable Sensi Star. Using it as a genetic base, the original breeder paired it with another powerhouse, Tahoe OG Kush. Like Sensi Star, Alpine Star is mostly Indica and boasts of the same incredible full-body high. 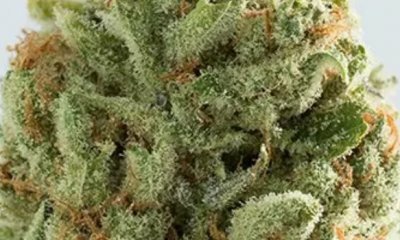 The addition of Tahoe OG Kush enhanced its flavors with the addition of lemony fragrance. Better than both parent strains, it comes with up to 2% CBD. 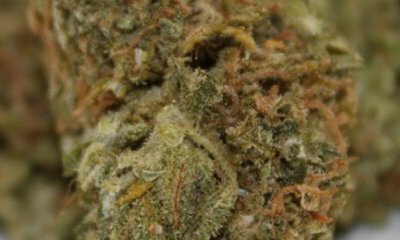 Primarily thought of as a medical strain, it has also found a footing among recreational users on the strength of its insanely high THC. 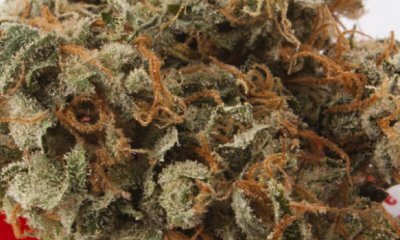 Alpine Star is an incredibly potent hybrid that not a lot of people can handle. However, that is not to say that beginners cannot use it. It all comes down to knowing how much of it one uses. Nonetheless, the worst that can happen to anyone who overindulges is getting knocked out by its devastating effects. During its onset, it begins with a gentle and clear-headed high. It is not uncommon for people at this point to feel creative because of the ideas that pop into the mind. Soon, though, a tingling sensation begins to ebb all over the body. It can only mean one thing; the best is yet to come. From an uplifting sensation, the soothing buzz soon intensifies and puts users into deep relaxation. As the numbing effects spread to the extremities, there is nothing one can do but to sit back and swim in a tide of bliss. Alpine Star has the smell of wet soil with a citrusy and lemony note. On closer inspection, it has a hint of pine that has an herbal quality to it. Its dank smell carries a little bit to the taste along with a hint of lemon. Not that it can compare to some incredibly flavorful weeds like Blueberry, but it is also not that bad. Alpine Star, as alluded to, is not easy to handle. Not only is it extremely potent, but it can also cause some adverse effects. Expect to experience a bit of a headache with its use. Not to mention, dry mouth and dry eyes are both a fact of life with marijuana. People who already are going through mental health issues such as having panic attacks should refrain from using this hybrid. That is because it can cause a some to feel anxious or paranoid. Despite the fact that its Sativa hesitate is only a quarter of the plant structure, it is that potent. Touted as a medical hybrid, Alpine Star should provide a host of benefits. Considering that it has up to 2% CBD, it is excellent for relieving stress and battling depression. Its potent anti-inflammatory properties can help reduce pains and swellings. At the same time, the sedative-like properties can also help users relax. In fact, one of its best use is to help overfatigued people rest and sleep. A small plant that does not grow well past 6 feet, Alpine Star is perfect for indoor cultivation. Of course, it thrives well outdoors too. Because by its nature it is already a bushy plant, some of the things that growers will want to do is to combine it with stress training to further promote outward growth. It also needs constant monitoring as well as regular trimming of the leaves. Once the plant is ready, home growers can trigger the flowering phase by switching to 12/12 light cycle. From this point on, once the buds start to appear, it takes between 7 to 9 weeks before it is ready for harvest. By then, every square meter of Alpine Star should yield some 10 to 12 ounces. In a warm and dry climate, Alpine Star should grow well. Typically, it begins to flower a the end of September. After two weeks or so, each plant would be ready to provide some 12 ounces of flowers to expectant growers. Have you ever smoked or grown your own Alpine Star? Please let me know what you think about this marijuana strain in the comments below. The post Alpine Star appeared first on I Love Growing Marijuana.